We welcome the news that Poetry Ireland and the Irish Heritage Trust have received planning permission for their ambitious plans to restore No. 11 Parnell Square as a new home for poetry in Ireland, the Poetry Ireland Centre. Poetry Ireland moved to 11 Parnell Square in September 2016, establishing No. 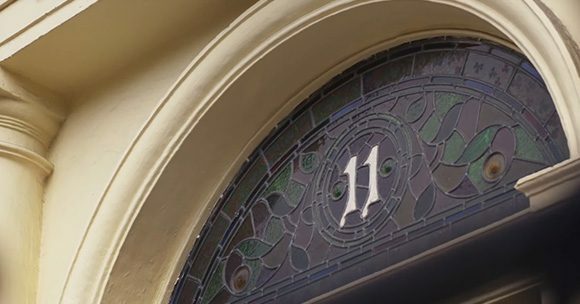 11 as a venue dedicated to celebrating, supporting and promoting poetry, poets and writers. Now, innovative plans by architects McCullough Mulvin to restore, revive and enhance the building have been approved by Dublin City Council. Works will include the careful conservation-led refurbishment of the house, with the provision of universal access. We look forward to working collaboratively with the new Poetry Ireland Centre, particularly through the Storyhouse hub in the proposed City Library, which will showcase Dublin’s unique literary heritage, its status as a UNESCO City of Literature, and promote its dynamic contemporary scene, providing a hub for writers, translators, illustrators and readers.